That’s in exactly one week from today. The tablet will be offered in three versions: Wi-Fi-only, LTE-capable, and another one that comes with a bundled S Pen stylus. Unfortunately the Korean company didn’t consider it important to also announce pricing, so we’re left in the dark in that regard. In the US, the Galaxy Tab A 9.7 starts at $300 in its Wi-Fi-only iteration. Considering what usually goes on in the mobile world, we assume that it will be priced at around £200-250 in the UK. And obviously expect the price to be even higher for the LTE model and the one that comes with the stylus. 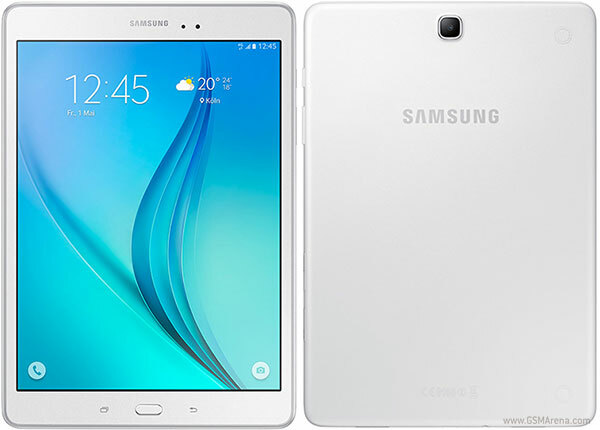 The Galaxy Tab A 9.7 is basically a lower-midrange tablet. It has a 9.7-inch 1,024×768 touchscreen, a 1.2 GHz quad-core processor, 1.5GB of RAM and 16GB of storage for the Wi-Fi variant, and 2GB of RAM and 32GB of space for the LTE-capable one. The main camera is a 5 MP unit, while selfies are taken care of by a 2 MP snapper. A 6,000 mAh battery keeps things running, and the software at work here is Android 5.0 Lollipop.